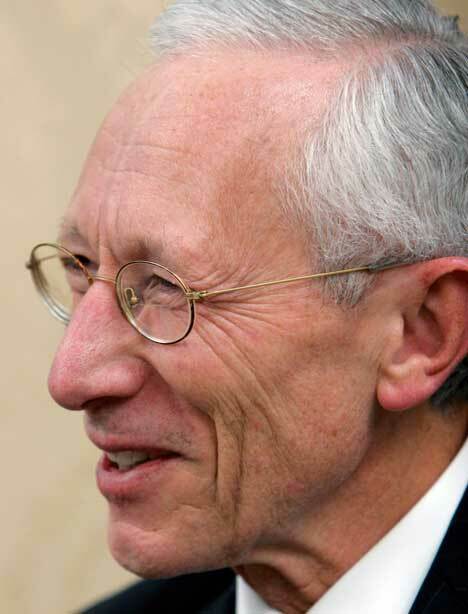 Euromoney magazine, a leading international banking, finance and capital markets news publication, named Bank of Israel Governor Stanley Fischer the world’s best bank governor for 2010 for his leadership of Israel’s economy in the wake of the global financial crisis. The magazine, which has been giving out the award to the outstanding central bank governor for the last 30 years, commended Fischer for striking the ideal balance between moderating inflation and supporting economic recovery. “His bold move to raise interest rates in September 2009 – the first country to do so after the crisis – proved well-guided and prescient,” the magazine noted. It also praised the central bank chief for his involvement in the foreign currency trade. “His innovative move towards an interventionist exchange-rate policy, whilst controversial at the time, has bolstered Israel’s reserves while boosting the country’s exports, which are key to its economic performance,” the magazine said. The Governor of the Bank of Israel, Prof. Stanley Fisher. Said yesterday in the annual press conference, ahead of the gatheri ng of the International Monetary Fund and the World Bank. According to Fisher, the Israeli market grew in 4.6% in the second quarter of 2010 and that the government managed to score below the deficit target, which is 4%. Israel has a surplus in the current account of 6.8% Million Dollars. Fisher said that these figures are very positive if taking in consideration the situation of the global market. He believes that the growth forecast to of the 3rd quarter should be higher, though 2011 might be lower, the last one is due to slow recovery in the developed world. Fisher believes that we will probably not suffer from a “W” crisis. He says that countries that didn’t suffer from a financial crisis managed to recover, while countries that did, did not recover yet. There is a lot of uncertainty at the moment.